The Lambeth Conference in 2008 has included a 'listening process' where people hear the views of others and listen to the experience of homosexual people. This book includes items from all parts of the world, from individuals and groups, to give a spectrum of views under 8 different chapter headings. 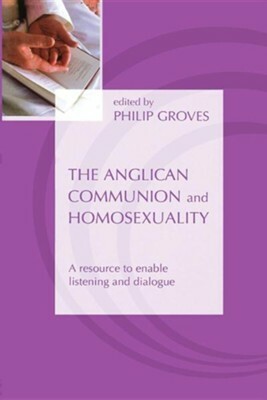 Background information on homosexuality, advice on the process of dialogue and case studies are included. I'm the author/artist and I want to review The Anglican Communion and Homosexuality: A Resource to Enable Listening and Dialogue.